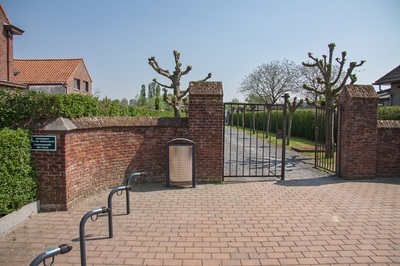 The village of Hulste is located north of the town of Kortrijk off the N50 which runs between Kortrijk and Brugge. Driving out of Kortrijk go past the junction with the N36 and take the next turning on the right called Brugsestraat, this then becomes Hulstedorp. Follow this into the village centre and turn left into Kapelstraat, this is a short street which leads into Tieltsestraat. As you enter Tieltsestraat the cemetery is on the right behind the houses. 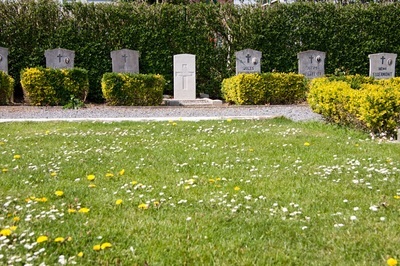 The grave is located in the front left hand side of the cemetery. 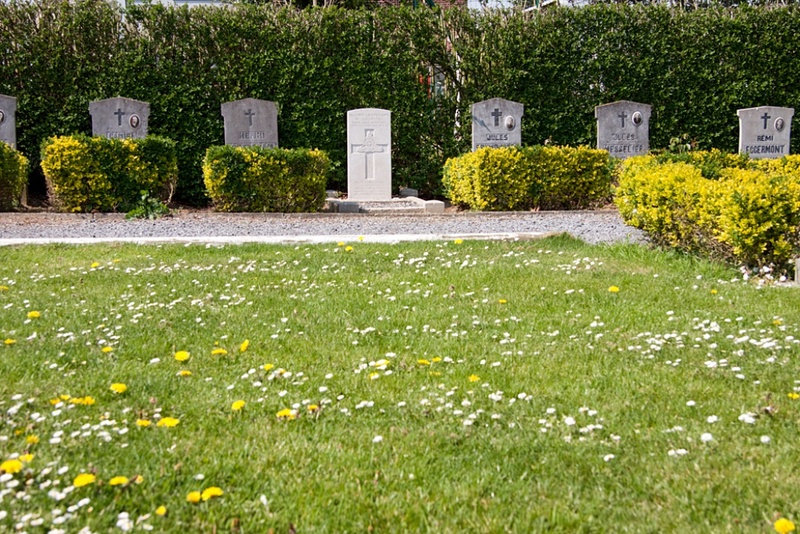 Hulste Communal Cemetery contains one Commonwealth burial of the First World War. Second Lieutenant Walter Greensted, "A" Bty. 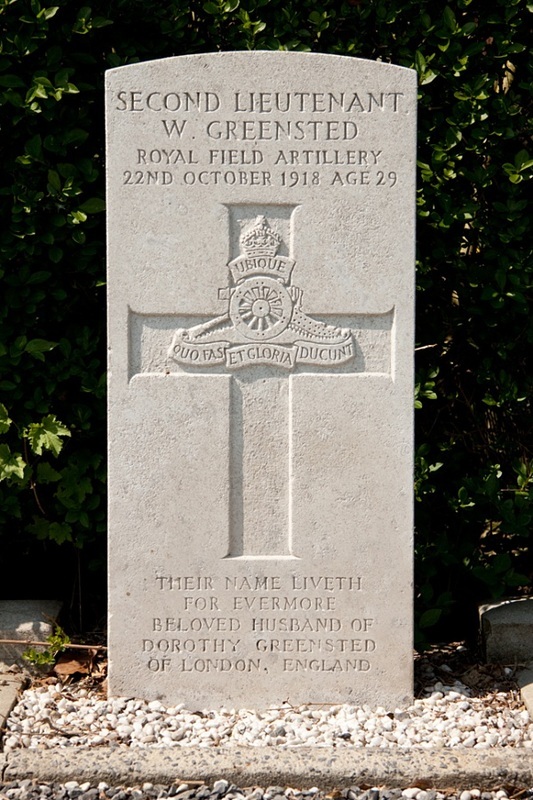 50th Bde., Royal Field Artillery, died 22nd October 1918, aged 29. Son of the late Percival and Kate Greensted, of Kent; husband of Dorothy Greensted (now Haggard) of 45, Linden Gardens, London.